Not to hate on doctors, but trying to see them is a big bummer. For starters, it can be impossible to get an appointment that's actually convenient to your schedule, and more often than not you end up stuck in the waiting room, thumbing through last month's AARP magazine (spoiler alert: Lynda Carter really is living her best life!). In many ways, the whole process feels stuck in the past, and ripe for a technological overhaul. Considering you can manage nearly every other aspect of your life from the screen in your pocket, why not your health care, too? Fortunately, a handful of Silicon Valley startups have made it their mission to transform the doctor's office as we know it, and make it a place you might actually want to visit. Here's why things are looking up. Coordinating an appointment that jibes with your schedule is is one thing, but finding a good doctor you click with can be a nightmare. Zocdoc changed the game in that regard, by establishing what is essentially a Yelp for doctors, which allows you to not only scope out ratings and reviews for all manner of medical professionals rather than rely on word-of-mouth recommendations, but also book appointments with them quickly and easily online. 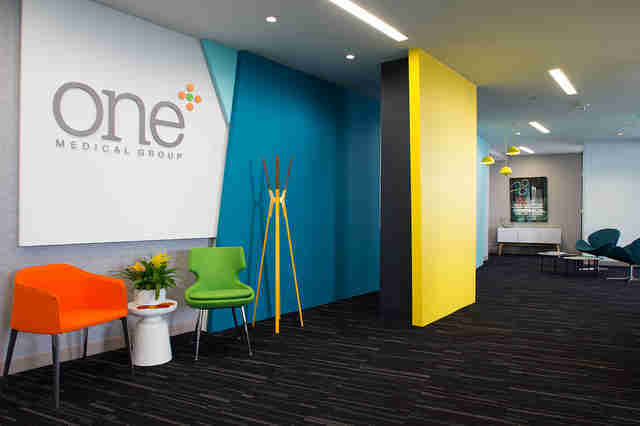 The 10-year-old company's services are undeniably popular, considering it's valued at nearly $2 billion, but making it easier to match with the right doctor hasn't necessarily made going in for checkups and treatments any more pleasant. That's where the new school of disruptors are getting involved. In an age in which we expect to get just about anything done via smartphone, fundamentally improving the doctor's office experience is contingent upon making it as mobile-friendly as possible, and better aligned with our increasingly on-the-go lifestyles. That's the approach the startup One Medical is taking. It's fashioned itself a doctor concierge of sorts, where patients pony up $200 annually for access to a network of top-rated doctors in their city and a suite of incredibly convenient perks. Members can easily make same-day appointments, stop by a number of different branded office locations in their city, have an on-demand "video visit" with a member of their virtual medical team 24/7, and email any provider with follow-up questions. Even better, its app makes it incredibly easy to request prescription renewals, medical records, book urgent appointments, and get immediate care (and prescriptions) for some common ailments using a service it's named Treat Me Now. Also, much like a chain gym membership, you can easily pop into any of the national locations if you want to see a doctor while visiting any of the eight cities it's expanded into. Taking the concierge model even further is the startup Forward, which was founded by a pair of of Silicon Valley heavyweights previously employed at Google and Uber, respectively. 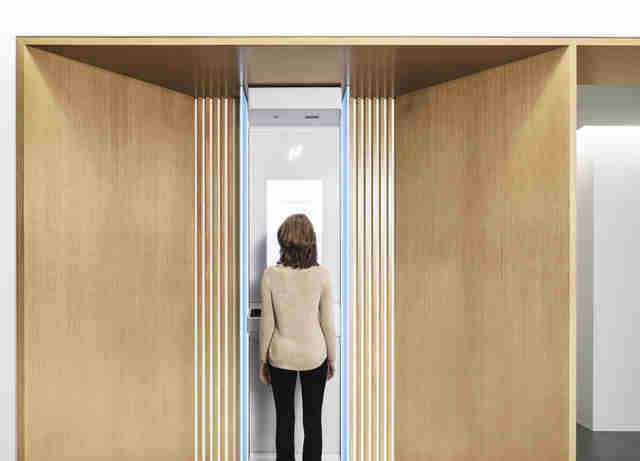 It recently opened its first location in San Francisco, and is reinventing the doctor's office as what might best be described as a futuristic spa. For $149 per month, members gain access to a top-notch, technology-focused medical practice, with many of the same mobile perks provided by One Medical. Its standout features, however, are in its physical facility, which is equipped with some truly next-level gadgetry designed to streamline your visit and improve the quality of your care. For instance, rather than have a nurse or PA check your vitals before the doc comes in, patients step onto a special body scanner in the lobby, which does a once-over to collect all necessary info (height, weight, heart rate, temperature, blood pressure, etc.) and can spot potential problem areas for the doctor to pay extra-close attention during your appointment. As TechCrunch reports, Forward's exam rooms feature tools designed to get you in and out of the office quicker (e.g., an infrared vein detector, proprietary digital stethoscope that doesn't require you to take off your shirt). 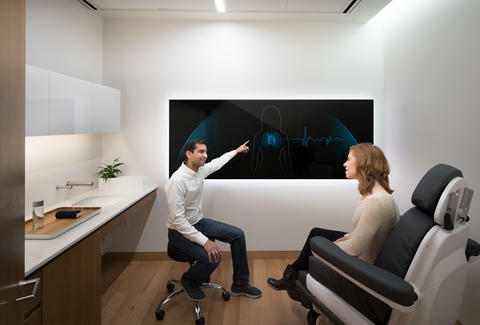 Each room is also appointed with a giant screen, which visualizes the intel gathered by the body scanner, and displays info served up by the company's proprietary AI software, which can make medical recommendations based on your medical history and your genetic code (it'll also sequence your DNA to determine what your hereditary risks are for cancer). The AI's insight isn't there to replace or usurp the doctor's expertise, but is rather a tool for them to consult, ensuring nothing is overlooked. There's even speech-to-text software that transcribes what's discussed during the exam, which is tidily filed away in your health records. Members can also buy special wearables and health sensors on site, which help the staff and doctors better monitor their well-being outside the office. Rather than call Forward's 24/7 support line and describe their symptoms when they're feeling weird, patients can simply share the data from the sensor to give the on-call doc a better understanding of the bigger picture and make a more informed decision. Paying $1,800 a year on top of insurance premiums and other medical expenses is a lot of money just to make going to the doctor a little less of a hassle, but if Forward's full embrace of technology in the doctor's office is a success, we should expect to see the trend gain ground elsewhere, and potentially evolve into something even those of us without Silicon Valley millions can afford. Joe McGauley is a senior writer for Thrillist. Follow him on his journey to manage his hereditary high blood pressure @jwmcgauley.